Giacobbe Fragomeni: "I'm inspired by Bernard Hopkins. My toughest opponent? David Haye"
Milan, Italy, December 2, 2016 --The return to the ring of former WBC world cruiserweight champion Giacobbe Fragomeni is making news in Italy and fans are already looking for tickets for The Night of Kick and Punch 6 which will take place at Teatro della Luna (1,730 seats) on January 14, 2017 in Assago, close to Milan. 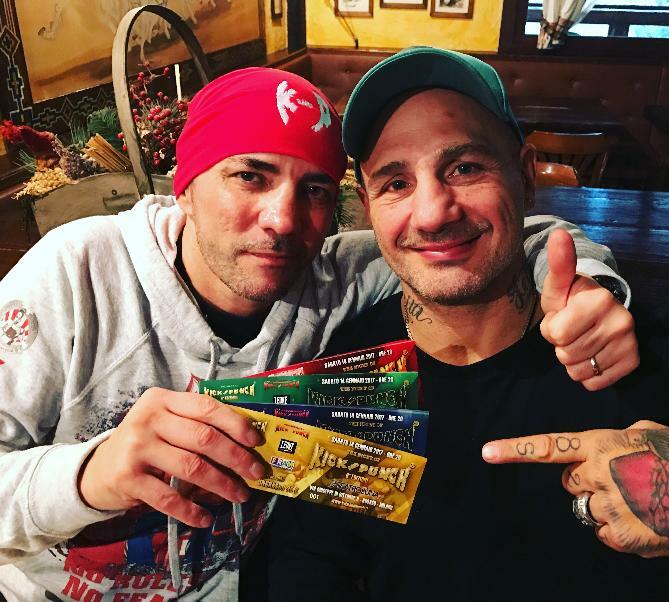 47 years old Fragomeni (33-5-2) will fight in the main event of the show which will also offer many kickboxing fights. Fragomeni's opponent has yet to be announced just like the distance (it should be 8 rounds), but that doesn’t worry the former WBC champion. "On January 14 I will be in top shape – said Giacobbe Fragomeni –. I'm inspired by Bernard Hopkins who will be back in action (after more than two years) on December 17 against WBC International light heavyweight champion Joe Smith Jr. in Los Angeles. Hopkins is almost 52 years old and he doesn’t need to prove anything to anybody as he dominated the middleweight and light heavyweight divisions for years. I assume that he wants to prove to himself that he can still do it because that’s the same thing that motivates me. If I deliver a great performance on January 14, I will have 3 or 4 fights in a very short time." About the toughest opponent he ever fought, Giacobbe Fragomeni has no doubts: "David Haye was an outstanding opponent who hit really hard. We fought in 2006 at York Hall in London. David was European champion and put me down in nine rounds. I wasn’t surprised when he won all the world titles available. I wasn’t surprised even when he knocked out in two rounds WBO world champion Enzo Maccarinelli. After our fight, we became friends and David was one of the firsts to congratulate me on his official website when I won the vacant WBC world title." "That night I was at York Hall – remembers promoter Angelo Valente – and I can say that Giacobbe performed well even if he lost. Giacobbe had the guts to trade punches with one of the most powerful hitters the cruiserweight division ever had. I wanted Giacobbe in my event because I hire only quality fighters. Kick and Punch Promotions is a trademark of accountability for Italian kickboxing fans: now they will see a former world boxing champion too. I am sure that The Night of Kick and Punch 6 will be a sellout."